Unless otherwise noted, all sessions take place at 6pm in Butler Library, Room 523, on the Columbia University Morningside Campus. These talks are free and open to the public. However, please note that as of August 2016 registration is required. To pre-register, please use the buttons below each event. Non-Columbia affiliates should register as guests. Historical reading experiences remain among the most elusive elements of the past. The chance discovery of circulation records from the Muncie Public Library that span the years from 1891 to 1902 (with one gap) offer insights into the reading habits and tastes of the residents of Muncie, Indiana, the community that would later become the subject of the famed “Middletown” sociological studies. 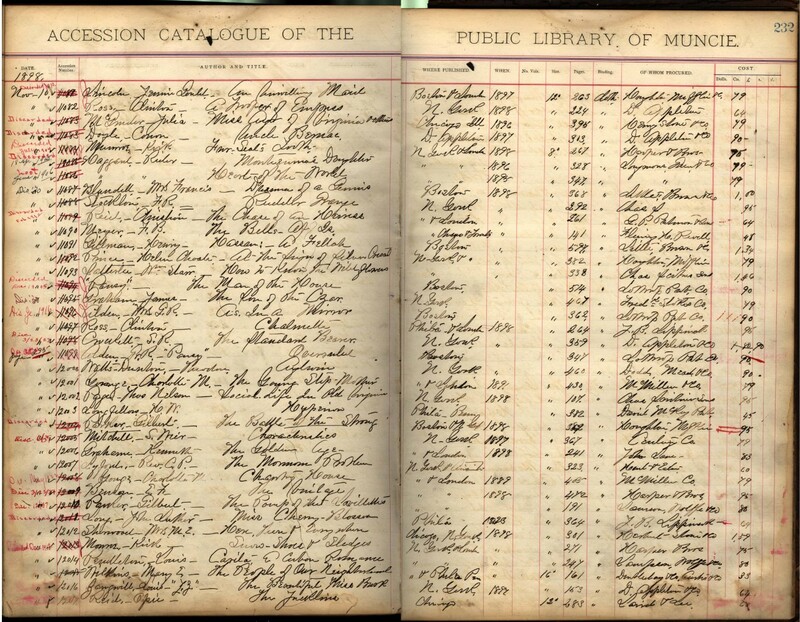 The What Middletown Read database, constructed from these handwritten ledgers and supplemented by census records and bibliographic data, provides scholars with evidence of aspects of reading behavior, including oral reading during an era of increasing silent reading, binge reading, networks of taste and interest formed by library users, and autodidacticism. In this talk, Felsenstein and Connolly, who co-authored a study based on the What Middletown Read data, will examine the role of this midwestern library in shaping popular reading habits. They will also consider the impact of Andrew Carnegie’s philanthropy on local libraries and reading behavior, as documented in the Carnegie Collections maintained at Columbia’s Butler Library. Frank Felsenstein is co-author with Dr. Connolly of What Middletown Read: Print Culture in an American Small City (University of Massachusetts Press, 2015), and joint editor of Print Culture Histories Beyond the Metropolis (University of Toronto Press, 2016). His earlier publications include Anti-Semitic Stereotypes (1995) and English Trader, Indian Maid: Representing Gender Race and Slavery in the New World (1999), both with Johns Hopkins University Press. He is the Reed D. Voran Honors Distinguished Professor of Humanities at Ball State University. James J. Connolly is the George and Frances Ball Distinguished Professor of History and Director of the Center for Middletown Studies at Ball State University. His recent publications include What Middletown Read: Print Culture in an American Small City (2015), co-authored with Frank Felsenstein, and Print Culture Histories Beyond the Metropolis (co-editor, 2016). He has also taught at the Free University Berlin, the University of Washington, and the University of Texas-Arlington. His research examines the cultural and political history of urban America. He received a Ph.D. in American History from Brandeis University in 1995. In this talk, Rachel Stein will discuss the role of the printing press in the global Iberian Monarchy formed under the Union of the Spanish and Portuguese Crowns (1581-1640). She will argue that the book printer Pedro Craesbeeck and those publishing works on overseas worlds at his Lisbon house used the printing press to ‘re-compose’ the global Iberian Monarchy. ‘Re-composing’ signals the ways in which the agents of the Iberian book trade attempted to alter the monarchy’s political make-up through commercial, legal, and literary activities. Three global publishing stories converging at Craesbeeck’s press will illustrate this concept: the printer’s entrepreneurship as a Flemish immigrant in Lisbon; Diogo do Couto’s transoceanic production of the Decades of Asia from Goa, India; and Inca Garcilaso de la Vega’s editing and transport of his histories of Florida and Peru from Córdoba, Castile. Whether repairing a broken triangle of royal printers, fortifying weak ties between Portuguese Asia and the Spanish kings, or cutting out the court of Madrid to replace it with Lisbon, Craesbeeck’s press reveals global connections and disconnections forged in productive tension. Rachel Stein recently defended her dissertation, “Re-composing the Global Iberian Monarchy through the Lisbon Press of Pedro Craesbeeck (1597-1632),” in the Department of Latin American & Iberian Cultures at Columbia University. Her research explores the intersections of early modern globalization and the history of the book. She is a recipient of the Andrew W. Mellon-Rare Book School Fellowship in Critical Bibliography. 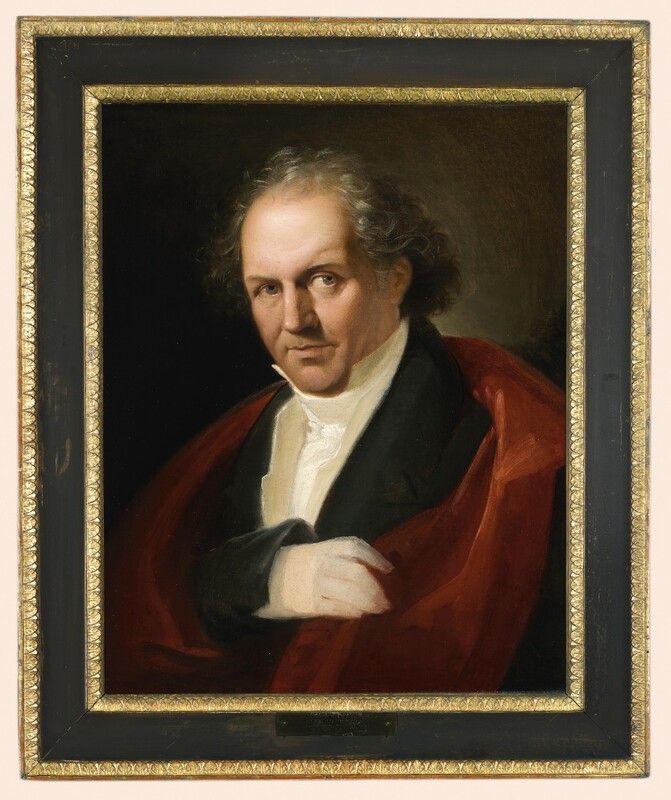 Valerie Lester’s illustrated presentation will set Bodoni’s work in the context of his era (1740-1813). 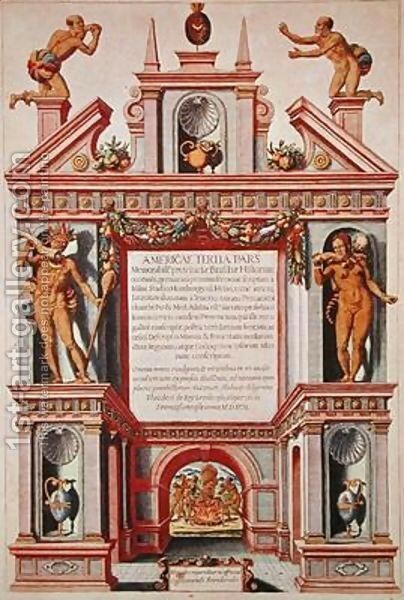 She will examine his progress as a printer, beginning with his early years in his father’s printworks in Piemonte, proceeding to his years as an apprentice at the press of College of the Propaganda Fide in Rome, and culminating in his 45 years of typographical work at the court of Parma. Valerie Lester is an independent scholar and writer, whose works include Phiz: The Man Who Drew Dickens (a biography of Hablot Knight Browne, the principal illustrator of the works of Charles Dickens); Fasten Your Seat Belts! History and Heroism in the Pan Am Cabin; The Magnificent Meaulnes, a translation from the French of Alain-Fournier’s Le Grand Meaulnes; and the recently published Giambattista Bodoni: His Life and His World (David Godine, 2015). Co-sponsored by the Italian Academy, Columbia University. Registration is required. The term “draft” has bedeviled scholarship concerning the King James Bible and its composition process. Some studies eschew the term altogether, while others widen its meaning to such an extent that even William Tyndale’s early sixteenth-century English translations of the Bible become characterized as “the first draft” of the King James Bible itself, despite the latter having been only commissioned in 1604 and first published in 1611. Focusing in particular on the most recent draft of the King James Bible to be unearthed – an early, seemingly first draft of part of the work, uniquely in the hand of one of the King James translators themselves, and standing as now the earliest draft of any portion of the King James translation known to survive – this paper will explore both the meaning and importance of the designation “draft” as it pertains to the King James Bible’s famously multifaceted composition process, and it will ultimately consider the broader implications, on a theoretical and methodological level, of a revitalized conception of “drafts” for future study of early modern book, intellectual, and literary history. Jeffrey Miller is an Assistant Professor of English at Montclair State University where he teaches early modern literature, history, and theology. In addition to a book-length study of the KJB draft, Miller is currently working on a monograph provisionally entitled “Signifying Shadows: Milton, Prefigurative History, and the Writer’s Mind at Work” and co-editing with Jason Rosenblatt and Thomas Roebuck, the “Table Talk” of John Selden (1584-1654), one of the seventeenth century’s most famous and enigmatic works. 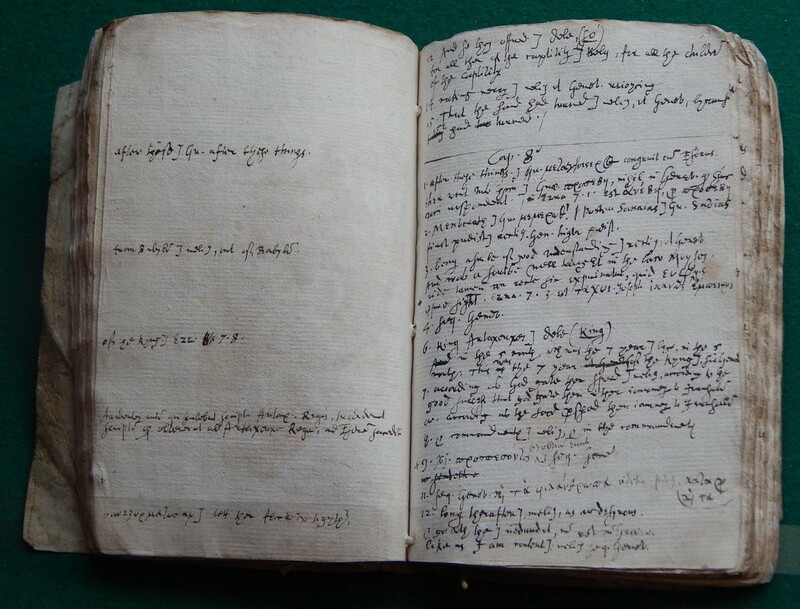 In 2014 Miller discovered the earliest draft of the King James Bible. Co-sponsored by the Burke Library, Graduate Theological Union. Registration is required. The Swiss-German modernist author Robert Walser (1878-1956), recently advanced to cult status in the U.S., wrote all his later work in a miniaturized hand, just 1-2 mm high, on scraps of paper, so small that when a cache of these tiny manuscripts was discovered after his death, they were assumed to have been written in secret code. 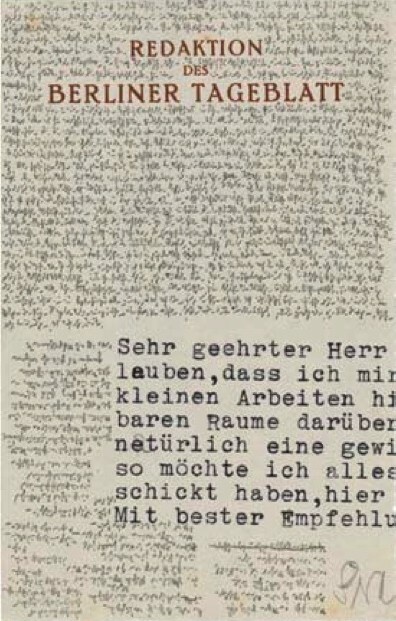 In this presentation, Susan Bernofsky, who has translated eight volumes of Walser’s prose and is currently writing a biography of Walser, will present a series of images of the Microscripts and talk about why they came to be written and what how to understand them in the context of Walser’s late work. Susan Bernofsky is a widely-acclaimed translator of literature from German. Her translations include eight works by Robert Walser, Kafka’s Metamorphosis, ­­­­Hermann Hesse’s Siddharta, and several novels by Jenny Erpendeck and Yoko Tawada. She co-edited the volume In Translation: Translators on Their Work and What It Means (Columbia University Press, 2013), and blogs about translation at translationista. She directs Literary Translation at Columbia (LTAC) in the Columbia University School of Arts. She is a 2014 Guggenheim Fellow. Mainstream theories of the novel have relied on a relatively small corpus of texts written in Europe during a past moment, largely ignoring the transnational marketplace in which the novel circulates or the publishing ecosystem in which it thrives. From this narrow empirical base, claims about the “global” novel have emerged. The paper focuses on commercial publishing and the informal circuits of popular reading and book culture in contemporary India in an effort to retrofit the theory of the novel in fundamental ways. If the novel is the form of the bourgeoisie as has been postulated, what new understanding of the form emerges when we place it in countries such as India or China where the bourgeoisie is ascendant and the novel enjoys wide circulation? The story of the novel that emerges from this ignored archive is one that both reframes the narrative inherited from the European novel as well as corrects fundamental elements of novel theory that have largely neglected markets, readers, and circulation. Priya Joshi is a book historian and scholar of narrative who has published on the history and theory of popular forms such as the novel and Bollywood cinema. She is the author of two scholarly monographs In Another Country: Colonialism, Culture, and the English Novel in India (Columbia 2002 and Oxford 2003) and The 1970s and its Legacies in India’s Cinemas (Routledge 2014). In Another Country: Colonialism, Culture, and the English Novel in India won the MLA’s Prize for the Best First Book, the Sonia Rudikoff Prize for Best First Book in Victorian Studies, among other prizes. Joshi is currently writing a book that rethinks the theory of the novel based on anti-literary forms such as detective and pulp fictions produced outside the metropolis. Prior to joining Temple in 2005, Joshi was Associate Professor of English at the University of California, Berkeley, where she taught since 1995. Co-sponsored by the Department of English & Comparative Literature, Columbia University. Registration is required.